On March 10, between the capitals of Uzbekistan and Kazakhstan, the new regular bus route Tashkent-Astana-Tashkent will start running, Darakchi.uz reports. The length of the route is 1,646 kilometers, travel time – 27 hours and 30 minutes. At first, the route will be served daily by one bus. Over time, the number of journeys will increase to four per day. From Astana, buses will depart at 15:00, 16:00, 17:00 and 18:00, and from Tashkent – at 12:00, 14:00, 16:00 and 18:00. 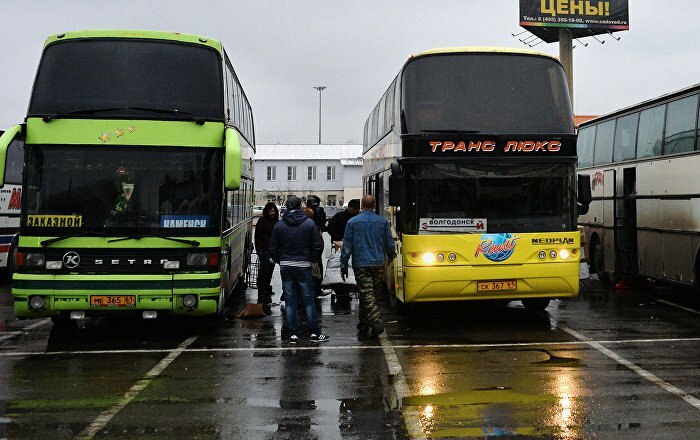 Buses will pass through Karaganda and will pick up passengers. The cost of travel in one direction from Tashkent is 320,000 soums. To Karaganda, the fare will be 260,000 soums. From the Uzbek side, the route will be serviced by the LLC Uzautotrans Service, and from the Kazakh side – KazAvtoTrans. From Kazakhstan, VANHOOL buses will serve on the route, and from the Uzbek side – YUTONG buses. Currently, inter-city buses in the directions of Tashkent – Shymkent, Tashkent – Almaty, Tashkent – Kyzylorda, Tashkent – Turkestan, Nukus – Ushkunur, Chirchik – Ushkunur are already running between the two countries. This will be the seventh bus route.